Undertaking litigation of any kind is a complicated affair. There are a thousand things to consider when building, negotiating and advocating a case and each decision plays a role in its outcome. One consideration many people don’t contemplate when launching an employment lawsuit is in which court to pursue their claim. Here are the basics of your options in Ontario. First, a little background on how the court is set up in Ontario. There are two divisions that make up the Court of Ontario: The Superior Court of Justice and the Ontario Court of Justice. The Superior Court of Justice is, as its name suggests, the higher court of the two. It is tasked with hearing cases of a more serious nature than the Ontario Court of Justice. The Superior Court deals with serious criminal offences, divorces, challenges to the Canadian Charter of Rights and Freedoms, and civil cases involving large sums of money. The Ontario Court of Justice, on the other hand, is primarily concerned with minor criminal offences, pre-trial hearings and violations of provincial law. Each of these divisions are further divided into specialized branches. Is Small Claims Court Right For Your Case? 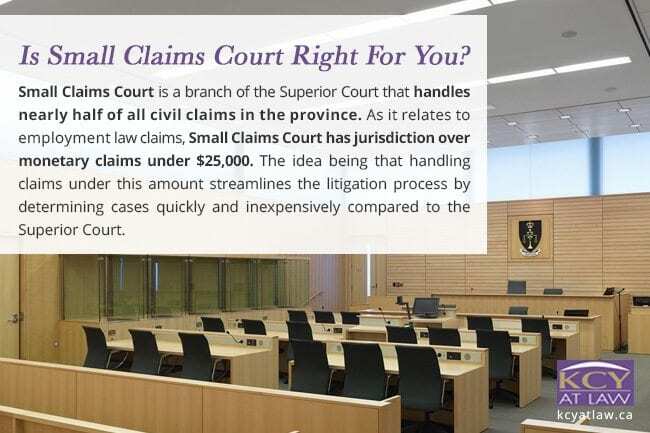 Small Claims Court is a branch of the Superior Court that handles nearly half of all civil claims in the province. As it relates to employment law claims, Small Claims Court has jurisdiction over monetary claims under $25,000. The idea being that handling claims under this amount streamlines the litigation process by determining cases quickly and inexpensively compared to the Superior Court. 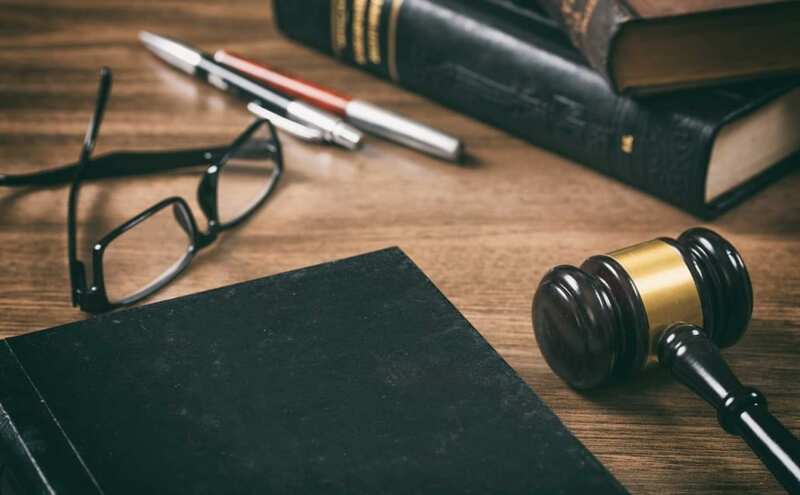 Because the Small Claims Court can only award plaintiffs up to $25,000 and plaintiffs who fail to be awarded more than $25,000 in the Superior Court may face financial punishment, it can sometimes be difficult to decide which court would best suit your claim. Cases where the damages being sought hover just over $25,000 put the plaintiff in the pickle of either limiting their claim to $25,000 or risk the judge refusing to award costs. 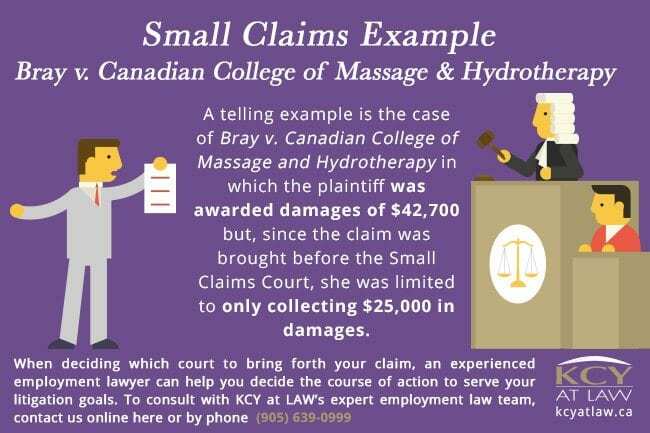 A telling example is the case of Bray v. Canadian College of Massage and Hydrotherapy in which the plaintiff was awarded damages of $42,700 but, since the claim was brought before the Small Claims Court, she was limited to only collecting $25,000 in damages. When deciding which court to bring forth your claim, an experienced employment lawyer can help you decide the course of action to serve your litigation goals. To consult with KCY at LAW’s expert employment law team, contact us online here or by phone (905) 639-0999.